In addition to receiving a rent discount, all referring tenants will be entered into a semiannual drawing for a grand prize! T.W. 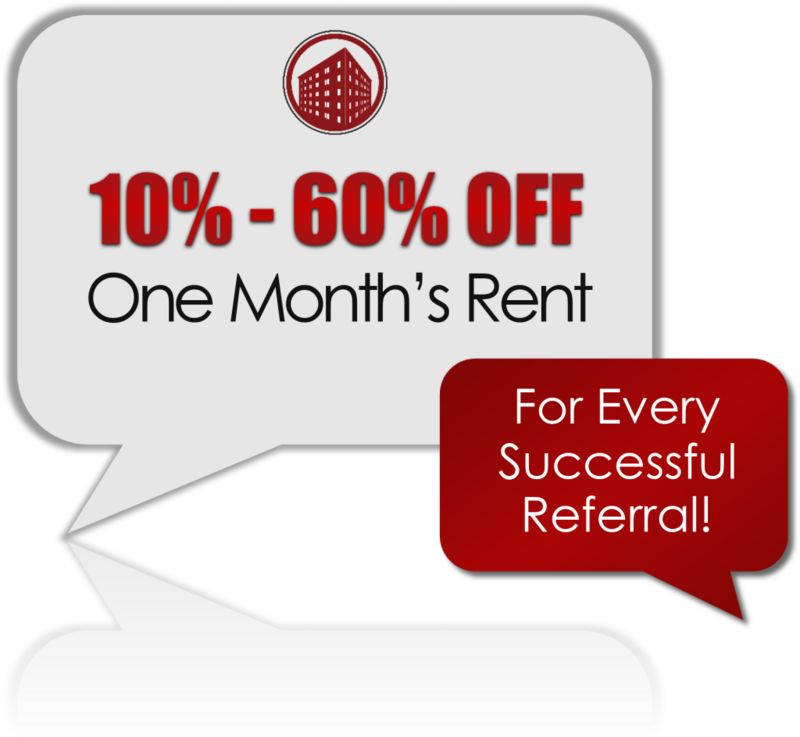 Patterson Building Tenants can now receive a 10% - 60% discount on one month's rent for introducing us to successful referrals. Must sign a minimum one-year lease. Must pay rent and other charges timely and be in good standing. Must remain in building for at least 60 days. Will receive referral discount 60 days after new lease is signed. Other rewards may be given to non-tenants at the discretion of the T.W. Patterson Building. Rewards and discounts are given per leasable unit not per person referred. each reward and/or discount amount is based on quantity and value of successful referral(s) upon other determining factors. All rewards and discounts are given discretion of the T.W. Patterson Building and cannot be guaranteed. The Tenant Rewards Program may discontinue at any time without notice.